Sonya Spoon pleaded guitly to suffocating her two children inside a home in Cheverly, Maryland. News4's Chris Gordon reports. A Maryland woman accused of suffocating her two young children pleaded guilty Wednesday to two counts of first-degree murder. Sonya Spoon, of Cheverly, was arrested on Sept. 7, 2014, after admitting to police that she suffocated 1-year-old Ayden Spoon and 3-year-old Kayla Thompson. A family member found the children unresponsive in the Cheverly home. Bags had been placed over the children's heads and secured with duct tape, police said. Both children were taken to Children's National Medical Center, where they died. Sonya Spoon, then 24, was arrested at the scene and admitted to suffocating the children, Prince George's County police said. Just six days before the killings, Spoon had received a mental evaluation after her mother called Cheverly police and told them she was worried because Spoon was threatening to kill Kayla and herself. Following the evaluation, Spoon was released and allowed back home with her two children. Cheverly Police say they did all they could do, legally. "Nobody helped. Nobody reached out to anybody. Nobody reached out to anybody to help. They just let her out two days later to kill my daughter and her brother," said Lester Thompson, Kayla's father, outside the courthouse on Wednesday. 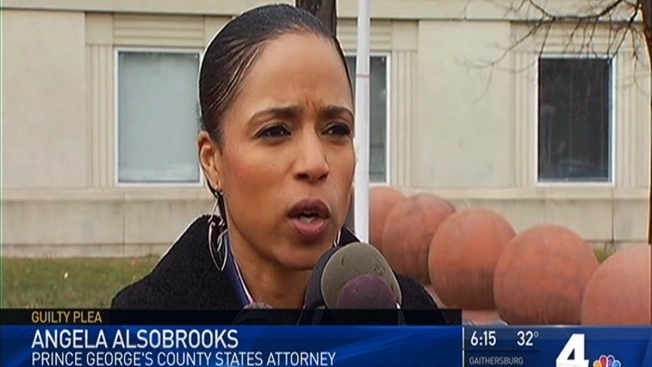 Prince George's County State's Attorney Angela Alsobrooks has been fighting to change Maryland law to require that social services be alerted when a child is threatened -- not just when they are harmed as the law currently states. "To ask that we have laws in place that would require individuals in the medical profession, educators and others who learn of a threat against a child to report that threat not only to law enforcement but to the department of social services, to the State's Attorney's office to allow us as many opportunities as possible to do what we can to protect our children," Alsobrooks said. Spoon was indicted in the children's deaths in October 2014.